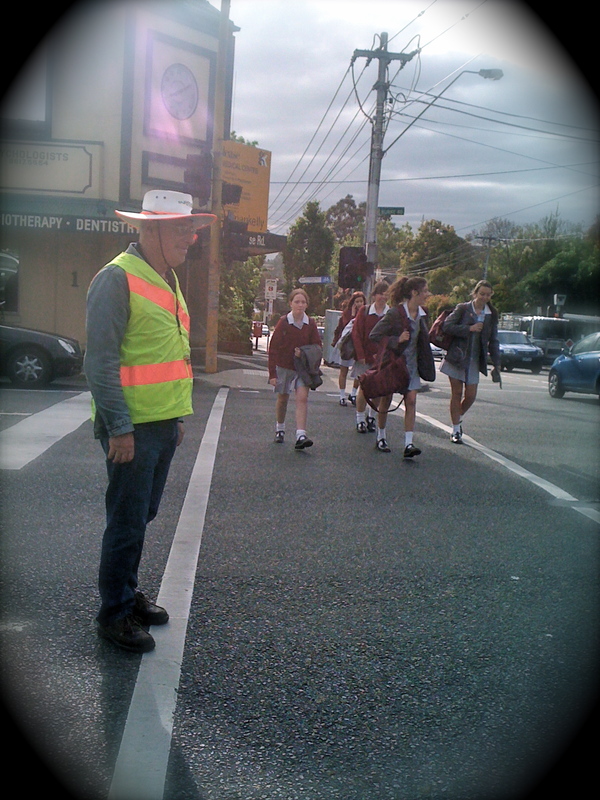 This is Peter & he is a volunteer Crossing Supervisor, seen in the leafy suburb of Balwyn every morning. He helps pedestrians cross the road in peak hour traffic, especially those nasty left turns where cars more often than not do not pay much attention to pedestrians crossing the road. So what Peter does is when the light turns green, he blows his whistle, stands in the middle of the road & stares those drivers in the eye. According to Peter, 'Mam, I do my very best'! What this means to me is I was once knocked by a car on one of those left turns thanks to me being highly engrossed on the phone again. While it's no more than a shoe-flying & highly embarrassing incident, not everyone is as lucky, so thanks Peter! & every morning on my way to work, Peter offers simple but great conversations, a lovely smile & just what I need to kickstart the day !